Jessica is busy. She has a chaotic job, often requiring hours of overtime. She rushes frantically from meeting to meeting, always just barely pulling it off. Somehow, she juggles that with family, outings with friends, daily workouts, and (most recently) …dating. When friends ask how it’s going with her new guy, she says it’s good. Things are progressing, and she looks forward to where she hopes they’re headed. But what about where things are right now? This is a relationship, not a project with a deadline. Is Jessica enjoying the present, or just pushing for what the relationship could become? Like a lot of us, Jessica struggles to live in the moment. When you rush toward the future or dwell on the past, you miss what’s going on in the present. I’d like to point out two things about that. First, being “fully in the moment” sounds like a simple concept, but it’s actually tough to pull off. It’s hard because we have all kinds of distractions pulling our mind away from the here and now. Even when we’re doing something important, we’re usually also thinking about the other things we need to get done. It takes real effort to narrow your focus to what’s happening now and nothing else. But that doesn’t mean you shouldn’t try. You should, and you should be patient with yourself, too. You’ll slip up a lot at first. The second thing I want to point out is the payoff. Imagine a casual evening with the man in your life. Nothing special. Maybe just pizza and a movie. Now, imagine that evening without any distractions. You’re not thinking about the tense conversation you had two days ago. You’re not trying to gauge what the future holds, or if/when the two of you will settle down together. You’re only thinking about that night, savoring a simple evening in his company. Sounds kind of magical, doesn’t it? That’s what mindfulness is all about. If you can slow down enough to really be in the moment, your time with him will be far more meaningful. And if there’s potential for a deeper long-term relationship, you’re more likely to get there by slowing down and fully experiencing what the two of you share right now. Try practicing mindfulness this week, both in your relationship and in other areas of your life. And remember, being mindful doesn’t mean you never reflect on the past or plan for the future. Rather, it means you live in the present moment and only project your mind elsewhere when using that ability as a tool that you set aside when finished. You deserve happiness and joy. Don’t wait for it. Find it in the present moment. This entry was posted in Dating, Relationships and tagged Dating, relationships by Author One. Bookmark the permalink. I wanted to know what keeps a guy from meeting the women hes speaking to . We have been seeing eachother for 1year and 2 months and we still have not met. I do nt know where this is going. Hi Julie. That certainly is not rushing a relationship. It’s amazing how modern technology allows people to develop strong feelings for a person they have never met. I recommend you politely explain that a relationship coach told you it’s not a good idea to continue a relationship with someone who shows no interest in meeting in person. I suggest you tell him you like him very much but you’ve realized it’s time to either move on or find out if the relationship can work in real life by meeting in person. Be careful though, people you meet online are not always as they seem. Take necessary precautions to ensure your safety when you meet for the first time. he is married thou and hv kids and i m divorced ,we had awesomely great understanding , which ofcourse decresed as he moved due to finance crisis with family out of country .. despite that he was always in touch called / msgd we on skype etc .. i became too uneasy where i started missing him bad as we did not meet for 3 years now .. i was too rude with words and he was too involved getting his work and he did ask me and always shared smallest of personal and official matter .. i was so stuck and in secured about he getting closer to his wife and kept bothering him on same .. past 20 days last conversation was he said i was dead for him and dare not to be in touch with him .. can you help to advise if he will call i am patiently waiting as i am equally hurt of the fact that he said i was dead for him ..can you help .. you think he will call me Thanks for your great advise .. I have read your testimony here, and I just want to give you my advise from the bottom of my heart. Please do not ever, ever, ever mess up with already married men. They do not deserve you, period! Please respect yourself and consider to move on with your life and keep your options opened for a wonderful single guy. There are plenty of good men around, who did not have a chance to meet you, since you were preoccupied with this married fellow. Please give them that chance and love yourself much enough so not to get involved with a married person. This is my biggest and greatest wish a for you, girl! I will suggest a few questions for you to ponder as you contemplate your choices. If your comment here was actually sent to him in the form of a letter, and you asked him what he thinks you should do, what do you think he would he say? 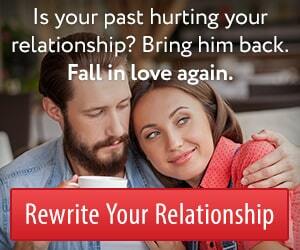 Would he say, “I’m just too damaged by my prior relationship and the pressure I felt for us to be together”? Or would he say, “Please give me another chance. I want things to work between us”? What’s the worst thing that could happen if you asked him directly whether he’s worth waiting for? What pressure do you feel in your own life to figure out where things are going in this relationship? What do you have to give up if you continue waiting? The answers to these questions may help you decide what to do next. Your next step might be to gather more information rather than trying to make a final choice. Julie. You already know what you need to do. Ask him to explain why he feels the need to live a double life. 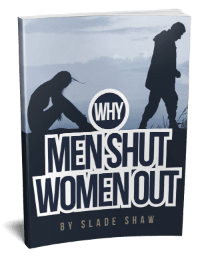 If he is unwilling to admit to the emotional needs driving his odd behavior, tell him it is over until he decides to be brave enough to talk about what he really needs and wants in life. Thanks so much James, for all of your brilliant insights. They’ve helped me tremendously. Thanks for all the good you do in this world.